The UWG Certified Nursing Assistant Program is approved through the Georgia Department of Community Health (GDCH) and meets standards outlined in the "Policies and Procedures for Nurse Aide Training Program (NATP)". The nurse aide course is taught in English ONLY. The course offers training to candidates that desire to become eligible for certification as a certified nurse aide (CNA). The program provides a comprehensive course to train candidates to work in all health care facilities (e.g. nursing homes, hospitals, hospice, home health, etc.). The UWG CNA course is a total of 88 hours consisting of 31 hours classroom instruction, 33 hours lab and 24 hours of clinical practice in a long-term care facility. Upon completion of the course, students will be scheduled to take the State Certification test at UWG. No on-line Certified Nurse Aide Courses are allowed in the State of Georgia. The UWG Certified Nursing Assistant Program is approved by the State of Georgia. The course is a total of 88 hours consisting of 31 hours classroom instruction, 33 hours lab and 24 hours of clinical practice with residents in a local long-term care facility. It is a requirement of the State of Georgia that every student MUST complete all 88 hours in order for UWG to certify that you successfully completed the course. You need to review the course schedule below and ensure that you have no conflicts with the dates listed, or you should not plan on registering for this course. If you miss any instruction hours and cannot make them up, you will be transferred to the next CNA course which has an open slot that will allow you to complete the training hours you have missed. If you are a UWG student currently registered to attend classes, you must enter your 917 ID number at time of registration. You then have the option to pay your total tuition or choose the UWG Student Payment Plan. The UWG Student Payment Plan allows you to pay $435.00 at time of registration and the balance ($350.00) must be paid BEFORE the first day of class. If you are not a registered UWG Student you have the option to pay your total tuition or choose the Non-UWG Student Payment Plan. The Non-UWG Student Payment Plan allows you to pay $500.00 at time of registration and the balance ($350.00) must be paid BEFORE the first day of class. The registration fee covers instruction, textbook, required supplies, clinical supervision, 1 set of scrubs, stethoscope, and name badge. Students are personally responsible for the cost of their Advantage Students Background/Drug Check (approximately $78.50) and Certification Test Fee (currently $112.00). When you receive your registration confirmation, there should be six (6) attachments containing important information regarding requirements you must meet in order to attend the CNA course. You must open and read all the attachments carefully and take appropriate action to meet those requirements before the first day of class. If for some reason you do not receive the attachments, you should download the documents from the UWG CNA webpage UWG CNA . The CNA classroom/lab portion of the course will be conducted on Monday and Wednesday evenings beginning on August 12th through October 7th in the Murphy Building, 1st Level, CNA Classroom and Skills Lab, Rooms 1130 A & B from 5:00 PM until 9:00 PM each day. There will be no class on Monday, September 2nd in observance of Labor Day. Clinical sessions will be conducted on Saturdays, October 12th, 19th and 26th. For classes with more than 11 students, it will be necessary to schedule both morning (6:30 A.M. to 3:00 P.M.) and evening (2:00 P.M. to 10:00 P.M.) clinical sessions. The class will be split equally between the morning and evening clinical schedules. 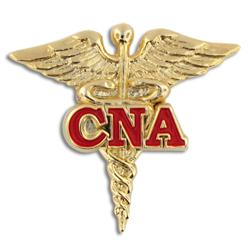 The State of Georgia dictates that no CNA student may work more than one (1) eight (8) hour shift per day during clinical rotations. We will try to take into consideration each person's needs in developing the clinical schedules. If we reach an impasse, the date a student registered for the course will determine who has preference to attend which session. Certification test dates for this class have not yet been finalized. The exact dates and test times will be negotiated with the Credentia Test Examiner and you will be given as much advance notification as possible. The Murphy Building is located at 316 West Georgia Drive across the street from the School of Nursing Building. The CNA Classroom/Skills Lab is located on the middle floor of the Murphy Building. If you are in the Murphy Parking lot, face the building, go to the far right hand corner of the parking lot to enter Murphy West. Take the ramp that goes alongside the right hand side of the building. At the end of the ramp, there are two large doors. Enter these doors and go the far right corner of the building. The CNA room numbers are 1130A, B.